Painter Candida Alvarez is a storyteller who maps narratives of place, both the interior landscape of the self and the external world with its cacophony of colors, sounds, and images from which she endlessly samples and draws. 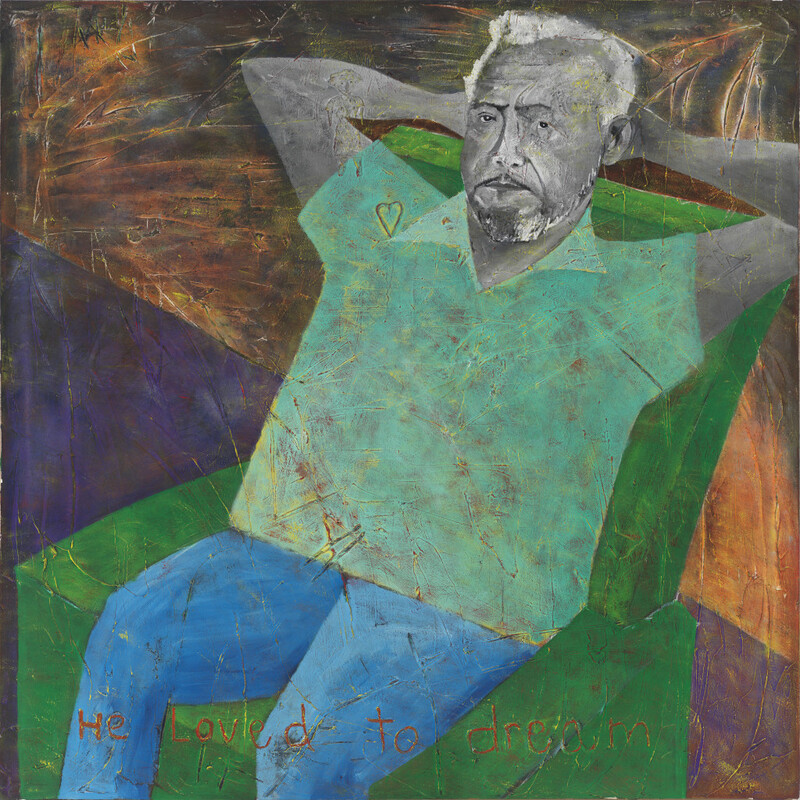 For Alvarez, place is an intersection of disparate stories and ideas, both personal and artistic, as suggested by her recent exhibition Here at the Chicago Cultural Center, guest curated by Terry R. Myers, the first major examination of the artist’s practice that spans over forty years. The exhibition’s constellational versus chronological layout evokes the visual and conceptual correspondences between the nearly sixty works on view, revealing that “here” is also a point of arrival, the journey from one place to another. Thus “here” is never a fixed location, but rather a fluid site that allows for continuous movement and exploration. It is also the space where Alvarez’s protean practice, one that shuttles between abstraction and figuration, and across cultural referents and borders, finds its infinite inspiration. Rainbows on my studio floor (2016), installed at the entrance to the exhibition, situates both the artist and viewer within the space of a studio. The spectral bands of color referenced in the work’s title are rendered as a dizzying maze of densely saturated parallelograms, echoing the tiles of the Cultural Center floor. Neither an aerial view nor a two-dimensional representation of the playful pattern dancing beneath one’s feet, the perspective is slightly askew and disorients our sense of place. Rainbows also introduces the artist’s ongoing experiments with the somatic and perceptual effects of color and light, while inviting us into her world of private speculation. acrylic and enamel on canvas, 72 x 84 inches. Photo by Tom Van Eynde. Courtesy the artist. These plays between inside/outside, mind/body, felt/seen are explored throughout the exhibition, including in the nearby Listening to Haruki Murakami while looking at a sunset (2016), a network of squares painted in a palette of soft peach and gray acrylics, realized at the same scale. Alvarez translates her experience of the titular Japanese writer’s fantastical prose and the fading light of an evening sun into an abstract field of subtly oscillating hues reminiscent of Agnes Martin’s ethereal grids. The artist’s reverence for minimalist abstraction is openly acknowledged in Remembering Sol LeWitt (2016), a checkered canvas that pays homage to the late conceptual artist. However, in this work Alvarez covers her vibrant pattern of alternating squares in a skin of clear plastic onto which she has scripted bits of text in gold glitter and painted a circuitous black web. Here, and in works such as wonky and jive (both 2014), she challenges the rigidity and authority of the modernist grid by creating a symbol of her own life path—a kind of tributary or labyrinth through which she charts her own course. Alvarez’s process of discovery is as much intuitive as it is the outcome of chance, as intimated in several smaller works that employ numbers, letters, and coins as organizing systems. In Tossing Pennies (1995), for example, two stacked wood panels incorporating pennies and colorful painted orbs as nodes within an allover connect the dots, informs a suite of related works layered with graphic circular motifs, each christened with a person’s name. With Intention (1995), Convention (1996), and Extension (1996), similar in format and scale, Alvarez uses nails, wire, and thread, along with painted and drawn elements, to plot intimate spatial territories that— as their titles infer—expose and disorder their own internal logic. oil and plastic on canvas, 48 x 48 inches. modeling paste on canvas, 60 x 60 inches. The sibling works Sisters 1 and Sisters 2 (both 1992) are pivotal in establishing this dual perspective. 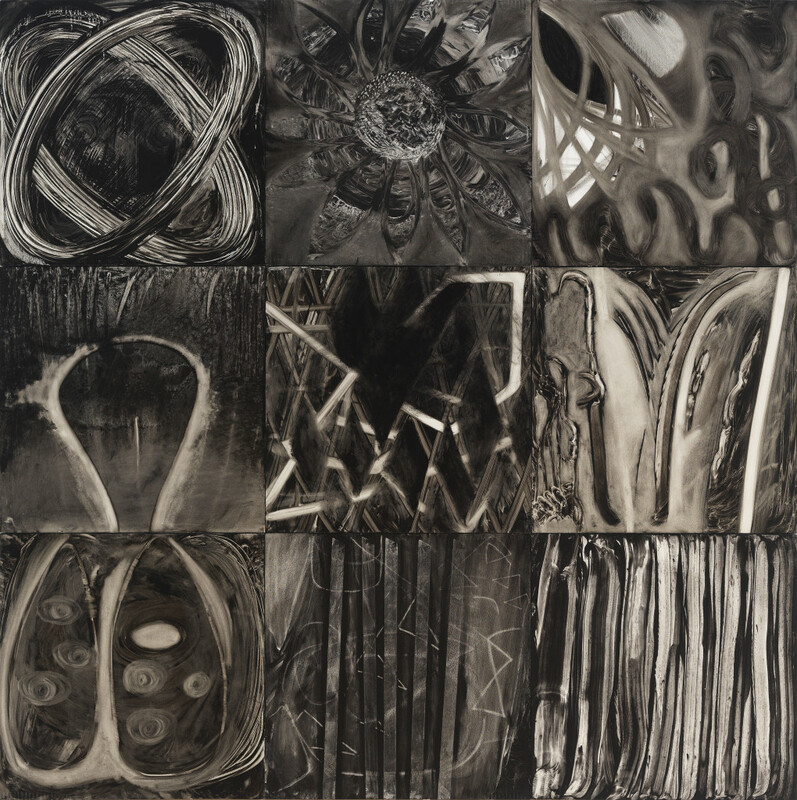 Each black-and-white composition is comprised of nine square panels, ordered on a grid, whose sequential fragments depict either quasi-architectural spaces occasionally populated with small figures (Sisters 1) or more abstract, gestural forms suggestive of a private, internal world (Sisters 2). Generous in both ambition and scale, these works also presage Alvarez’s later interest in minimalist seriality and gestural abstraction, in which she abandons her studies in black and white for the sensorial effects of color. To this end, Here pulsates with a lush spectrum of rhythms and hues that occupy several monumental canvases whose richly layered surfaces perform an archeology of textures and ideas. Their titles—hi ho silver (2008), mary in the sky with diamonds (2005) arroz amargo (2010), dadadahlia (2005-08), and chill (2011)—give clues to their disparate inspirations and sources, from pop culture to art history to Mexican flora, which the artist splices and spins to her own ends. 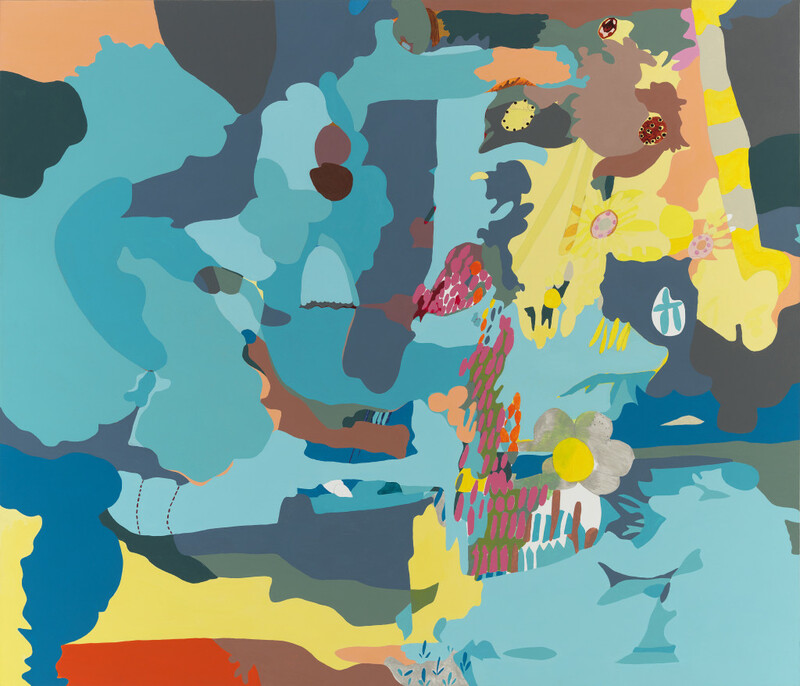 Building her canvases from drawings based on images culled from her personal archive, Alvarez then overlays them with strata of vivid acrylics and oils (cool aquamarines, sunny yellows, berry reds) that obscure their original identities. 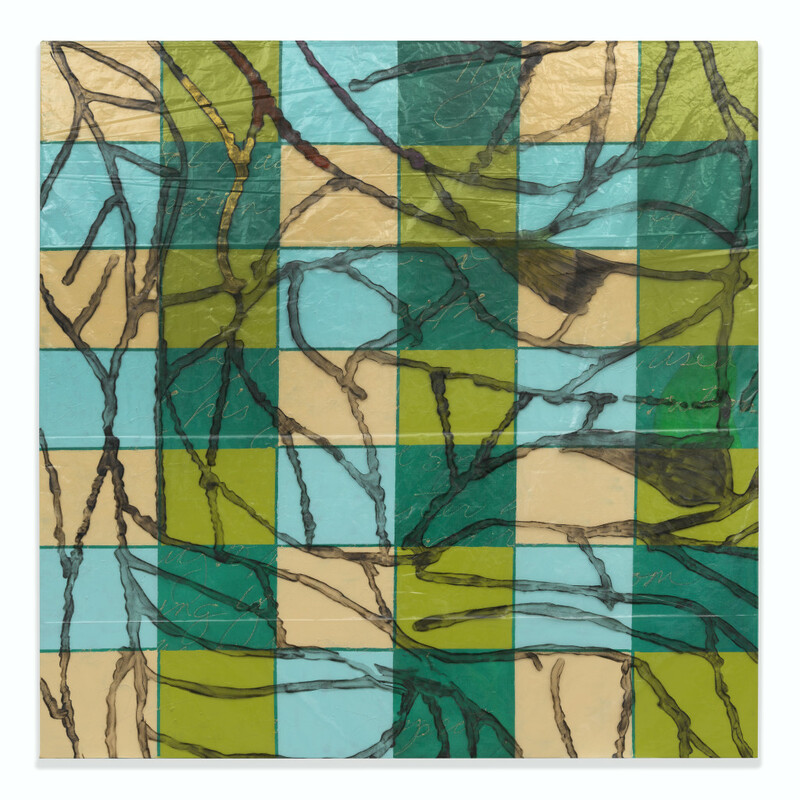 At the same time, this act of concealment transforms the artist’s private landscapes into verdant, allover patterns that resemble camouflage, subverting the military form of disguise to instead create an abstract symbolism that exposes rather than hides. Alvarez’s syncretic process belongs to a strategy of cultural fusion and hybridity that allows passage between different contexts and histories, as does her use of personal narratives and private symbols as markers of identity. To offer oneself is to ask of others, thus Alvarez’s paintings offer the viewer multiple points of entry, open to individual interpretation. Alvarez has referred to her paintings as “conversations,” with Here as an extended dialogue about the power of place and the journey of one artist’s arrival. As stated in the interview “Candida Alvarez’s Embodied Biography,” published in Inside/Within, July 2015. Candida Alvarez, Here, at the Chicago Cultural Center ran from April 29 – August 6, 2017. 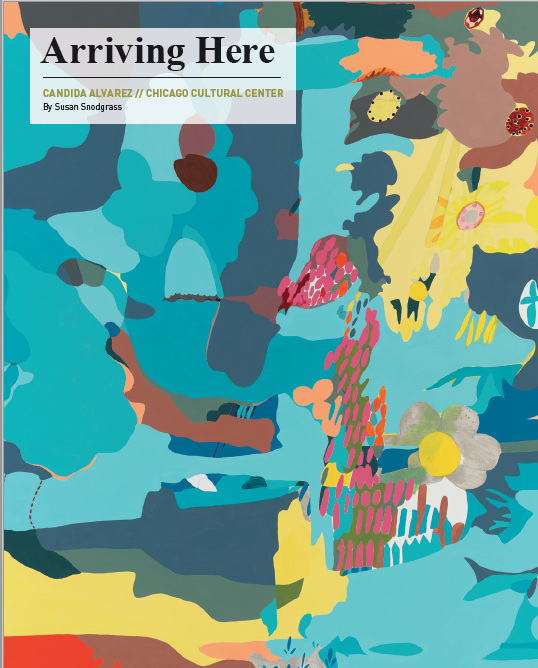 September 12, 2017 | Filed under Art Seen: Chicago and tagged with Candida Alvarez, Chicago Cultural Center, Susan Snodgrass.